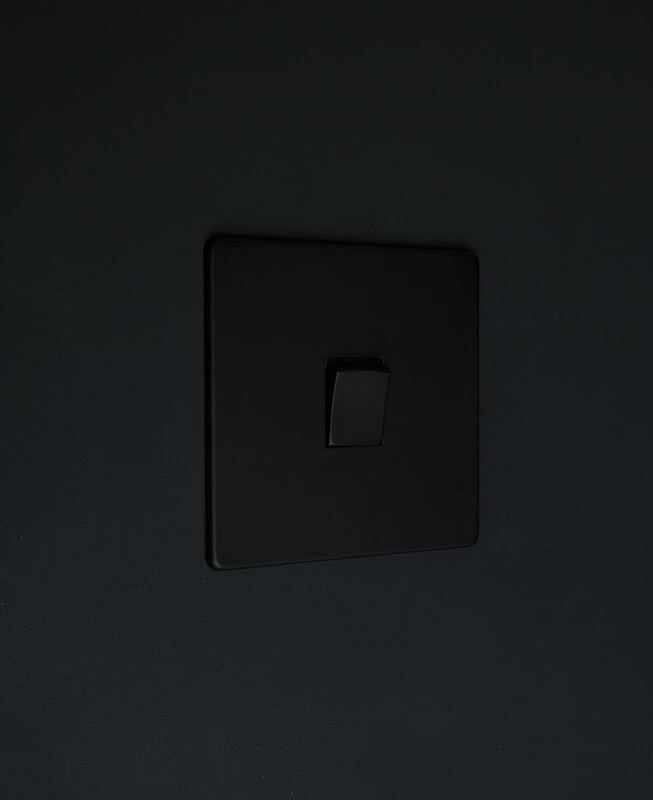 Rebel against the norm with our black single rocker switch. This uber chic, satin black switch is definitely a head-turner, with a matt finish and delicately curved switch detail, it’d perfect for making a statement. A black single rocker switch makes the ultimate statement. With a sleek black coated steel plate and gorgeously feminine rocker switch detail, this is THE switch for rebelling against ubiquitous white plastic switches. We LOVE this chic black switch on a matt white wall where it can really stand out. It’s a great way to add contrast to minimalist spaces. If minimalism isn’t your thing, these rebellious switches look equally fabulous on charcoal grey, navy or forest green walls. 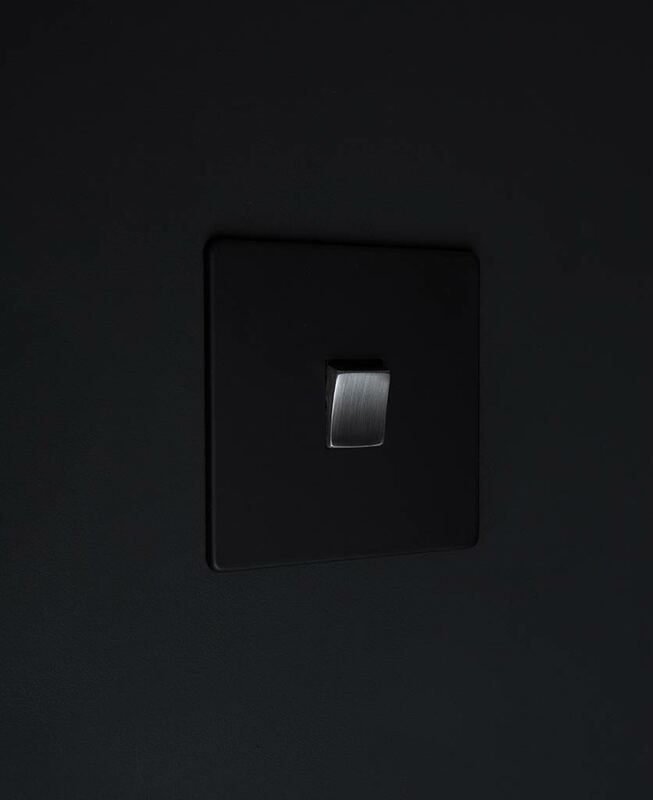 This black rocker switch makes up part of our black switches & sockets range, a collection created exclusively here at D&R to finish off your interiors to an exceptional standard. We have something for everyone, including dimmers, toggles, USB sockets and data ports. Mix and match across the range to add a designer flair to your interiors.